US Airways is selling miles with a 100% bonus again. A trip to Asia in business class (or around the world award) is only $1,575. That’s cheaper than the coach fare in some cases. Great way to stock up on miles, but don’t sit on them too long. 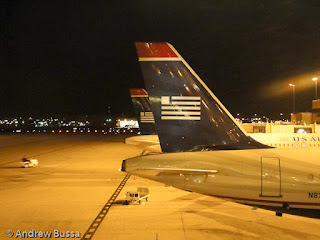 US Airways has been selling miles like mad for the last few years, so this may be a prelude to an award chart change (the price of purchased miles has increased, so that may delay the points inflation). Or they could be laughing all the way to the bank if Star Alliance awards cost them less than what they sell miles for, but only they know that. This move also generates liquidity, so not a bad way to stay out of the bond market. Offer good until June 30, 2012. Maximum of 50,000 bonus miles can be earned with the promotion. You need to make a Dividend Miles account before purchasing.